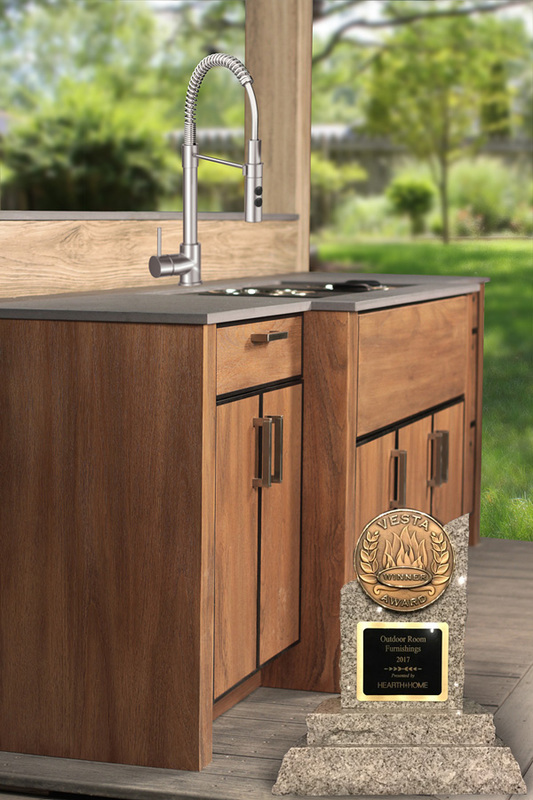 In recent years, the name NatureKast has become synonymous with beautiful Outdoor Kitchens. At KBIS we introduced our NEW Outdoor Shower. 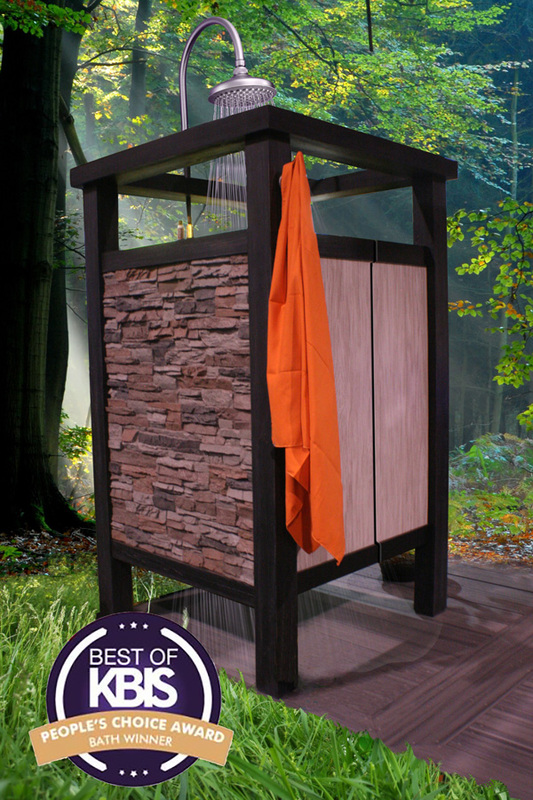 Fabricated from the same high-density resin material that has made our weatherproof cabinets famous, the Dream Outdoor Shower will be the talk of the beach, or your backyard. For our efforts we landed the Prestigious Best of KBIS: People’s Choice Award in the Bath category. Panels: Oxford Grey stacked stone. Posts and base: Weathered Charcoal. We received the Vesta Outdoor Room Furnishings Award for 2017.